Mention Golden Colorado anywhere in the world, and people are likely to recognize it as the home of Coors Beer. Adolph Coors established his brewery here in 1873, attracted by our high quality Rocky Mountain spring water. 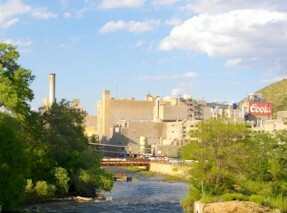 The company and the town have grown together for well over a century, and today, the Miller-Coors Brewery tour attracts about 300,000 visitors each year. 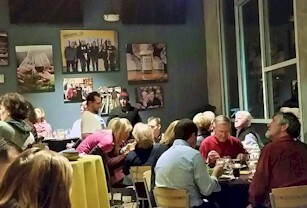 The Golden facility is the largest single-site brewery in the world. We also have SIX craft breweries in Golden, and THREE craft distilleries! To take the Coors tour, park at 13th and Ford, in the visitors parking lot, then hop on the van. They’ll take you on a quick loop through the historic downtown, then into the brewery, where you learn some about the history of the brewery, learn about the brewing process, and end in the hospitality room, where you can sample Coors products for free. The hours for the tour change seasonally, so it’s best to call ahead to make sure they’re open on the day you plan to visit. Please note: they do not allow backpacks, bags, or large purses on the brewery grounds, nor do they have lockers for them, so leave those items at home or in the car! 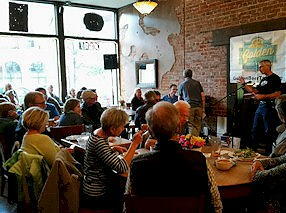 Golden has our own, home-grown version of TED Talks, called Golden Beer Talks. Each month, we gather at Windy Saddle Cafe (right under the Welcome Arch) and listen to speakers discuss a variety of topics. Each month, we serve beer from one of our craft breweries. Our summer First Friday Street Fairs and July’s big event, Buffalo Bill Days, are largely supported by the sale of MillerCoors beer. Every fall the Chamber of Commerce hosts a “Knock Your Boots Off” Chili Cookoff. The cookoff includes the opportunity to sample about 150 beers, and the beer is at least as powerful a draw as the chili! 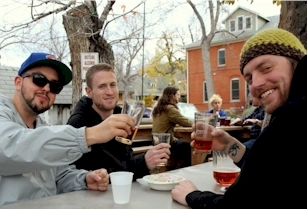 The American Mountaineering Museum hosts a recurring party called Thirsty Third Thursday, which always features a microbrew. Golden restaurants often carry limited distribution products, not available outside of the area. Try a Barmen Pilser, a special brew that takes 7 minutes to pour, due to its creamy foam. Cannonball Creek Brewing Company was founded in January of 2013 by Jason Stengl and Brian Hutchinson. Jason and Brian met in 2004 at the Mountain Sun family of breweries in Boulder, Colorado were they both learned to hone the craft they love. Since both Jason and Brian live in Golden, the choice for a location was obvious. After settling on a property on the north side of town, they wanted the brewery name to reflect the home town they loved. They learned that the original name for Clear Creek was Cannonball Creek; thus, Cannonball Creek Brewing Company was born. Knowing that they wouldn’t be able to do it all on their own, Jason and Brian called upon former co-worker and professional brewer Jonathan Lee to help run the tasting room and work in the brewery. Cannonball Creek hosts various food trucks, to provide a constantly-changing range of food options. 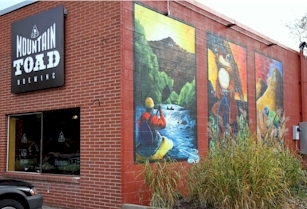 Mountain Toad Brewing was established in 2013, in a former machine shop, by four friends from the Colorado School of Mines. This brewery offers several high-top tables and bar seating inside, plus a large beer garden with a fireplace. They have a different food truck every day. 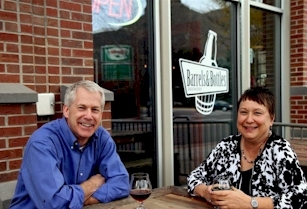 Owners Zach & Abby George opened Barrels & Bottles in late 2013. This is a unique model for a brewpub: they not only brew their own beer in-house, they have guest taps, allowing visitors to try beers from lots of different breweries. They also serve wine by the glass or bottle, and tapas-style food. 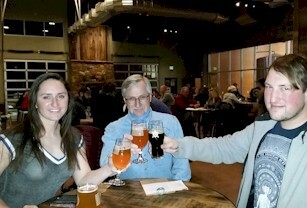 Holidaily Brewing Company makes 100% gluten-free beer…and it’s good! The owner, Karen Hertz, loves beer but can’t consume gluten, so she worked with University of Colorado scientists to develop a method of brewing with gluten-free grains millet and buckwheat. Golden’s newest craft brewery has a set of core brews that are always available. In addition, they continuously explore new flavors and ingredients. Their name–New Terrain–was inspired by their ever-changing offerings of experimental beers. 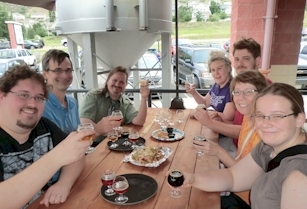 This brewery has a nice patio with great views for fair-weather drinking. On the rare occasions when Golden’s weather is inhospitable, you can enjoy their big stone fireplace. 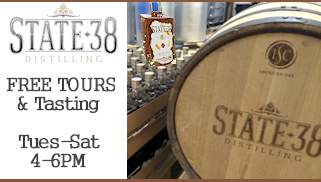 State 38 Distilling is a boutique distillery built by hand with extreme attention to detail. The name celebrates the birth year of Colorado, 1876. The award winning distillery gives one of the industry’s longest and most detailed tours. Their spirits are distilled from 100% organic raw blue agave. They make Blanco, Reposado, Añejo, Vodka, and Gin. 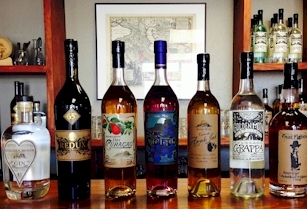 Golden Moon Distillery specializes in using historic stills and production processes. They have a research library that dates back to the 1500s and four antique stills! They make an interesting range of spirits, including Creme de Violette, Curacao, Absinthe, Amer dit Picon, Gin, Grappa, Applejack, and Bourbon. 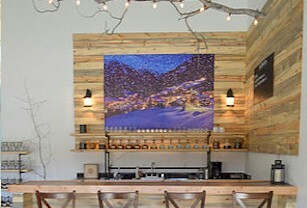 Their tasting room offers tours, Monday through Friday from 9AM to 5PM or by appointment. Golden Moon also has a chic back-alley speakeasy in historic downtown Golden. Golden Moon Speakeasy serves Golden Moon Distillery’s products and has a reputation for crafting some very creative cocktails. 720-638-1155. 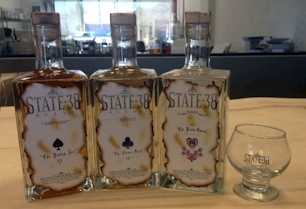 Our newest distillery makes artisanal rums. A visit to their tasting room provides a chance to meet their master distiller and to see the copper still in action. Enjoy a seasonal rum drink while you’re there.